It’s hard to explain why we coach, it’s like trying to explain why we live at all. It’s that fundamental. 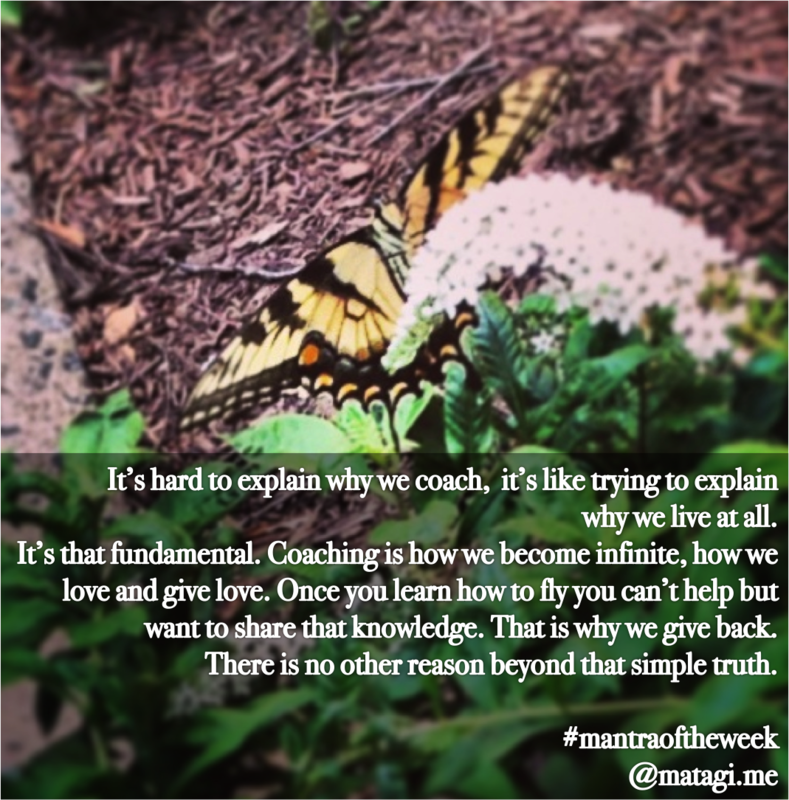 Coaching is how we become infinite, how we love and give love. Once you learn how to fly you can’t help but want to share that knowledge. That is why we give back. There is no other reason beyond that simple truth. If you read Adam Grant’s Give and Take, coaching is intuitive to people who think both long term and beyond themselves. One of my biggest “ah-hah” moments in my cooperate job—when I knew I would leave— was when I realized that none of my “bosses” had a coaching mindset. I suspect this was in part because the organization did not incentivize coaching (beyond the fact that coaching tended to produce better results). I remember distinctly telling another colleague that “I would never treat my counselees with such disregard.” I had always felt it is my duty as a manager to bring out the best in my teammates. It’s difficult to stick to your convictions when you are swimming upstream, doing what’s right even if the impact isn’t evident. Coaching requires both kindness and courage. Kindness because it is a gift of compassion and courage because it requires that we recognize that we all have a gift to give, and story to share, not matter how great or small.